Here are some pics of a bike I made up for my wife. It is an 1980s PUCH Pathfinder. 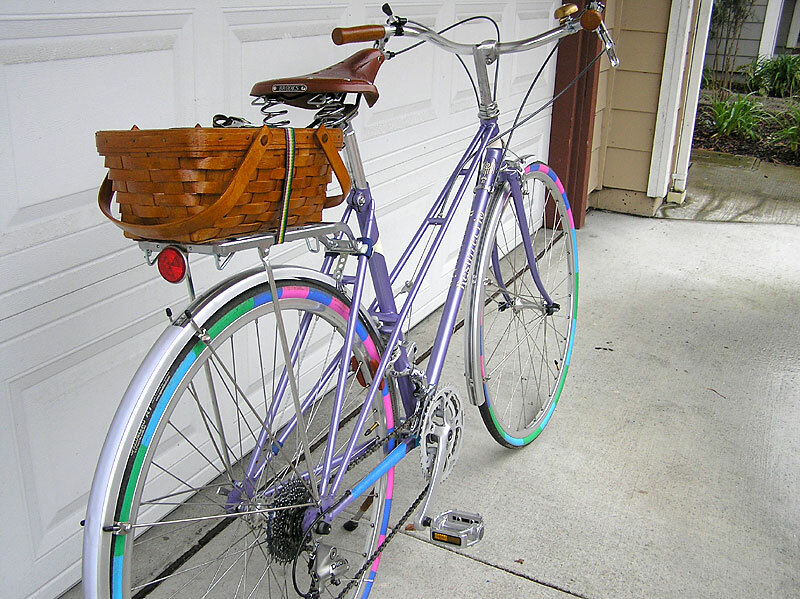 I bought the whole bike in a sort of bike junk yard in San Jose for $70.00 and put about $500.00 to $600.00 worth of parts procured exclusively from Rivendell Bicycle Works into it. Everything down to the twine I wrapped the kickstand with is from Rivendell. 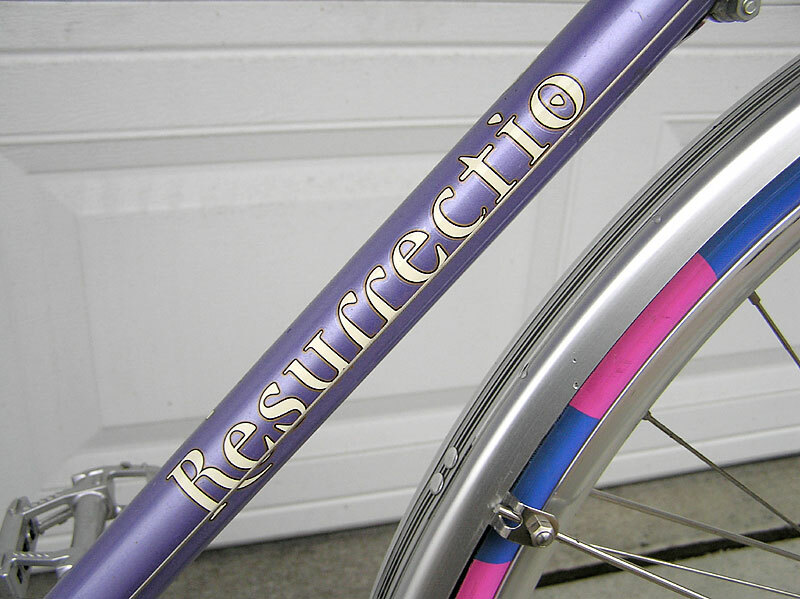 Actually the seat post was got from Harris Cyclery cause Rivendell didn't have a 25.8. Everything else though down to the twine I wrapped the kickstand with and the "Resurrectio" stickers are from Rivendell. They really (and I mean really!) helped me out a lot to make this bike into what I think is a very nice bike indeed. Oh yea my dear wife sort of likes it to. Honesty she could take it or leave it but she says it's fine. She needed a little instruction on shifting so I wrote it on the Nitto Dove handlebars. 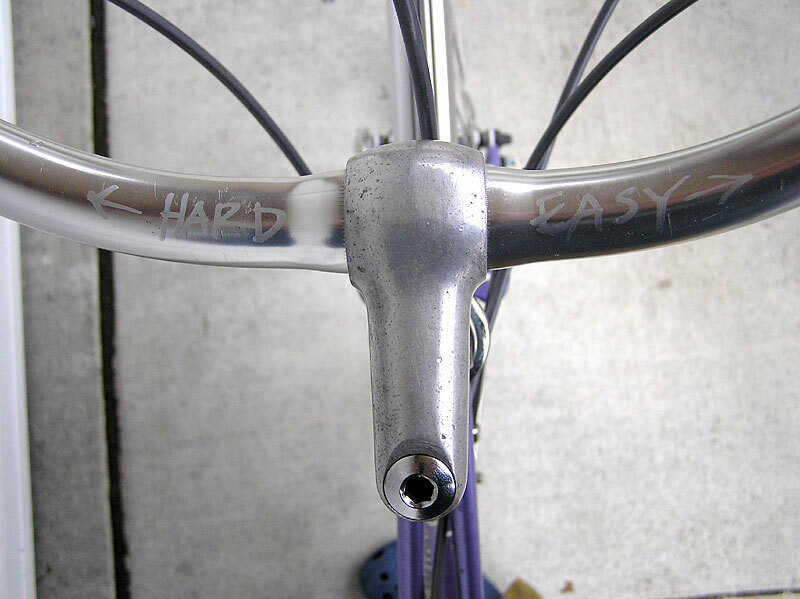 "Easy and Hard" refers to pushing both shifter in one direction. 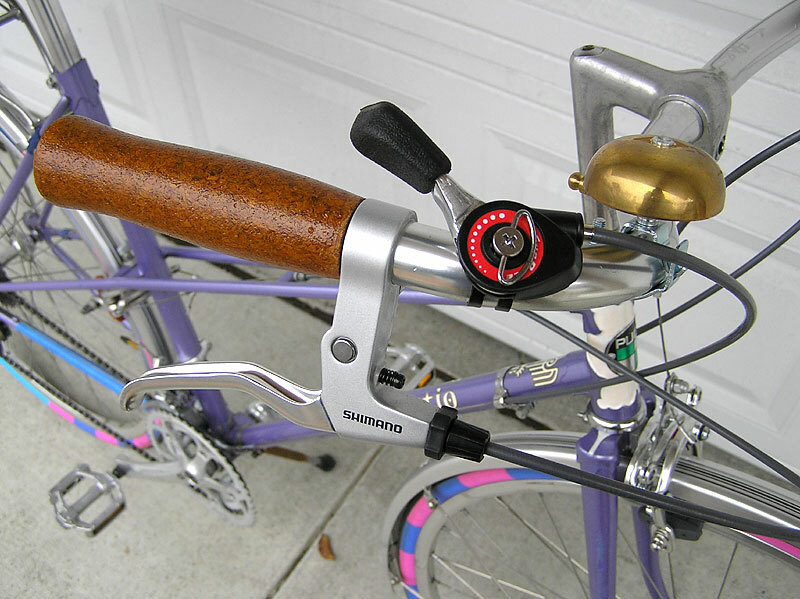 If she moves both shifters to the right it becomes easier to pedal (like going up hill); both to the left...you get the idea. She understands that now but I am leaving the words on the handle bar just incase she forgets. I like the idea of both shifters going the same direction and accomplishing the same task; less confusing. We do family biking on the weekends mostly with our two kids, staying mostly on bike trails and low traffic areas in the Walnut Creek area - you know like going to the park or farmers market. Occasionally we'll get on BART and go into San Francisco and bike those hills. Sfuff like that but really loads of fun nonetheless. I do plan on getting some higher volumn tires for her so we can go bike caming this summer with her in the hills around here. The gearing is such that she can pretty much go anywhere. Oh yea I converted it (at the suggestion from someone at Rivendell) from a 27" wheels to 700c. Converting to a 700c wheels seemed like a good idea and I don't regret it, not yet at least. 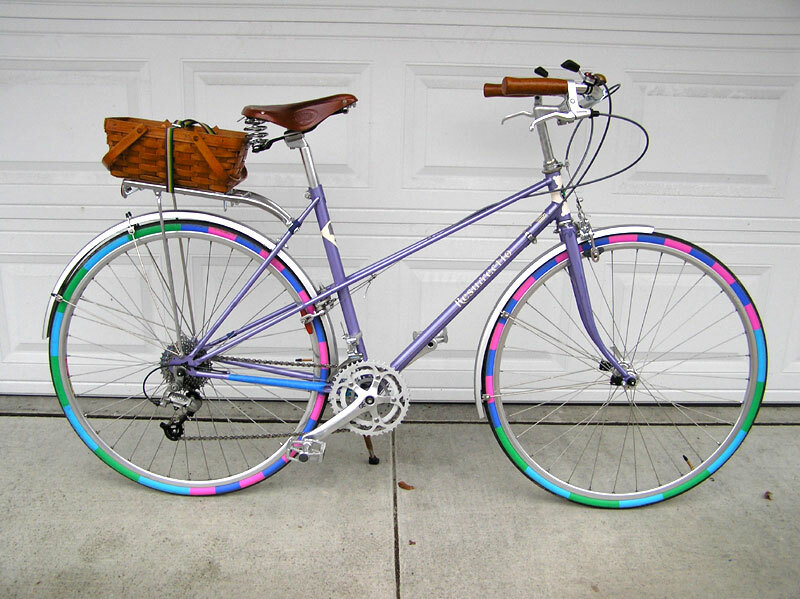 In fact I don't think I ever will unless a resurgence of the 27" wheel comes back into vogue and it becomes all the rage (like those fixed gear bikes); boy if it does, I'll look like a shmuck then, I suppose. Thanks for letting me show off my bike. I like to brag and boast as much as possible. Helps my low self esteem. Email me with any questions.